Spoil yourself with a custom Galaxy S7 case. Upload a picture of your favorite moment or memory. Our Galaxy S7 slim case is durable and beautiful at the same time. Damaging your phone is not only a sin but repairing it is also expensive and a lengthy process. At GoCustomized, we believe that it’s more important to prevent any sort of damage rather than risking the need for repair. A custom Galaxy S7 case is the perfect way to protect all sides of your phone from any incoming damage! The Galaxy S7 slim case has openings that will not hinder the phone’s functionality, so you can take pictures, listen to music and charge your phone effortlessly. 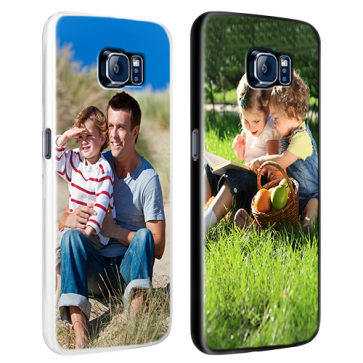 A protective hard case cover with a personal and unique design can only add your phone’s quality! With our user-friendly customizer, it’s never been easier making your Galaxy S7 slim case. You design, we print! Choose from a variety of your pictures on your PC, tablet or smartphone and upload them onto the website or upload them directly off of your favorite social media websites, such as Facebook and Instagram. Whether you use a picture of a landscape or the logo of your favorite sports team, you can construct your case the way you want, with personal colors and designs, and top it all off with meaningful text! It’s that simple. 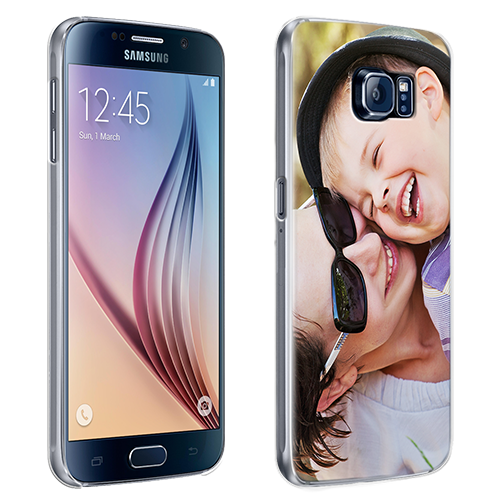 We will begin to work as soon as possible after your design has been processed and will produce the Galaxy S7 slim case within 24 hours of your order! We print the cases quickly and efficiently, but not at the expense of the quality of the case! We use high quality ink, which results in a sharp and beautiful customized design. Cases are available in multiple colors. If you have any questions, our team is ready to help you! But first, there’s one thing you should do: start with making your own custom Galaxy S7 case. What Samsung phone do I have?